Our Kids staff and volunteers are the best. You can rest assured that your children will be loved and well taken care of while you enjoy the service. If it’s your first time bringing your kids to City First, don’t worry…we’ve taken care of everything! Just head over to Kids Guest Registration and we’ll meet your family and register you into our check-in system. If your family is already registered in our system, just head to your child’s classroom where we offer a fast and convenient check-in procedure. You will simply enter the last 4 digits of your phone number into one of the kiosks located in your child’s classroom. After selecting your child’s name on the kiosk, you and your child will be given matching check-in stickers for that service. Your sticker will be used as a pick-up ticket, and your child’s sticker will be used as a nametag. After service, you’ll return to your child’s room and show your pick-up ticket. A child will not be released to their guardian without presentation of their pick-up ticket. If we need to contact you during the service, the identification number on your pick-up ticket will appear on the digital screens located above the doors to the left and right of the sanctuary stage. Just swing by your child’s room with your pick-up ticket and speak to the room leader. 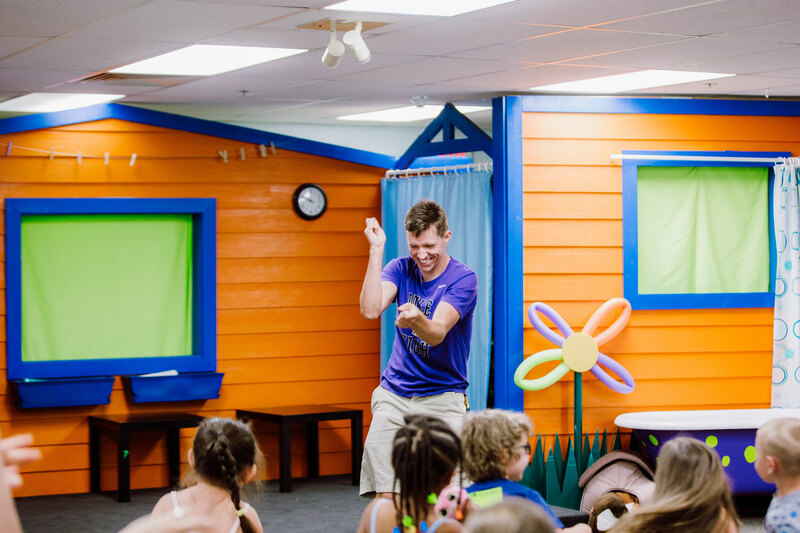 Bible stories and spiritual truths will come to life through skits, activities, and discussions. It’s our goal that kids learn to love God’s Word and understand the value of applying it to their lives. Our environments and lessons are tailored to meet the spiritual and developmental needs of each group. Safety is one of our highest priorities. Every time you check your kids in you’ll receive a unique parent identification tag that corresponds to your child’s tag. Additionally, every Serve Team member is screened and participates in a background check. When kids have a blast at church, they can’t wait to come back! 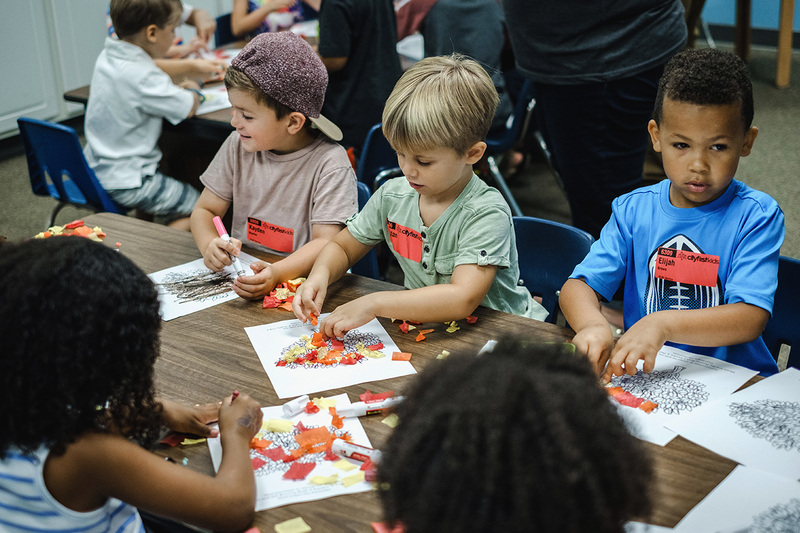 You can be sure that your kids will have fun each week as they learn about who God is through games, activities, small groups, and teaching. If you have young children and would like to watch the service with them, we have a Parents Viewing Room that has toys and snacks for your kids and a live feed of the service. If you have a newborn, we have a Mothers Room that has comfortable chairs, a changing table, and a live feed of the service. Every Wednesday night during the school year, your kids will meet in Life Groups with other kids their own age to learn more about God’s Word and our virtue of the month! With games, hands-on activities, and incredible leaders, your kids are bound to have an amazing time! Hey Parents! We think you are your child’s greatest teachers and influencers. The Parent Resource is one way we can partner with you to make it easy for you to talk to your kids about what matters most in life. Each week, we release a new episode that coincides with our focus for that month that you can watch together, and a short explanation of that week’s lesson. For additional information, feel free to email City First Church Kids at kids@cityfirst.church or contact your location’s Kids Pastor.